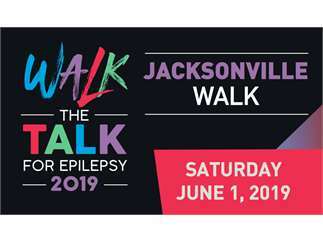 Epilepsy Florida will host its annual Walk the Talk for Epilepsy at Metropolitan Park (1410 Gator Bowl Blvd, Jacksonville, FL 32202) in Jacksonville on Saturday, June 1, 2019, raising awareness and funds to benefit Floridians impacted by epilepsy. Registration will open at 8 a.m., with the walk following at 9 a.m.The Jacksonville Walk the Talk for Epilepsy will feature family-friendly entertainment, including a kid’s zone, live DJ, Star Wars characters, presentation of the Clayton Feig Youth Award, raffles and prizes, and more. Cost: March 14 thru Thursday before walk: $25 for adults; $15 for children. Purchase at the door: $35 for adults; $20 for children.